On The K List today: Blue + White + Elephants. What’s not to love! We’ve been back in the house post-renovation for a little over a month and I’m taking it one room at a time. 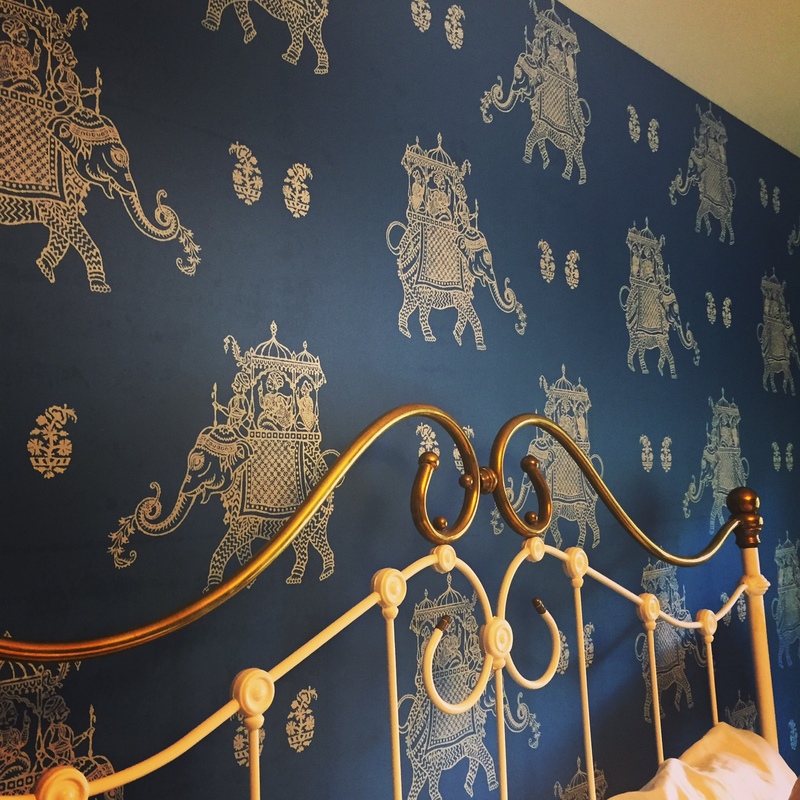 This is a sneak peek at one of our guest rooms featuring my childhood bed (graciously gifted by the parentals) and this GORGEOUS Ophelia Wallpaper in blue by Brewster. A professional would probably define this print as Morrocan-inspired but it’s give me major Ernest Hemingway a la Havana, Cuba vibes. Anyone else? Love or hate?